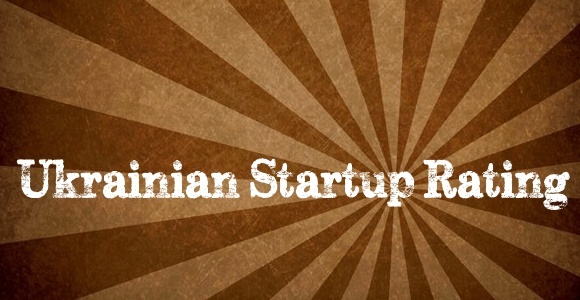 Earlier this week I wrote about Ukranian startup rating organized by Dennis Dovgopoly, and listed the top 10 startups in each category. The final ranking has been released yesterday. Ukrainian Webvan called Zakaz leads in both General and Quick Start nominations, and Expopromoter wins the global rating category. Zakaz is Ukrainian Webvan. Local Alexa rating is 11688. YouScan is a Russian-language social media monitoring service. DivanTV is a new generation online TV for the Russian speaking viewers (at least for now). Local Alexa rating is 20142. BPMOnline is a cloud-based CRM and business process management tool with international ambitions and global Alexa rating of 468204. KitApps is a tool to develop mobile apps for the events. Local Alexa rating is 6161. Runfaces is a video-based social network, which aims at the global audience. Jelastic is a cloud-based java hosting platform, backed by Runa Capital. Local Alexa rating is 2426. Best.ua is an online portal, which provide local customer reviews of restaurants, shops etc. Local Alexa rating is 4798. The company operates on the Ukrainian market, and has been founded in 2010. ActiveGift is an innovative gift selection tool, covered here. Local Alexa rating is 58133. The company aims at global markets. Nimble Commerce is a social CRM in the cloud, which from my point of view, can hardly be called Ukrainian. Hubbub is a sound-based social network, or twitter-like radio. Mokus (Contre Jour) is a stylish mobile game developed by a Ukrainian developer Maxim Gryniv and published by Chillingo. Kids and I played it, and it is super-cute, although some ideas are similar to Cut the Rope. ngnix is a Russian open source web server, backed by Runa Capital, and to my knowledge a Russian company, that in a state of software rather than legal entity has been around since 2002. RollApp is an online application virtualization platform that allows using any software via browser. Say.tv is a video social network for personal broadcasting. Local Alexa rating is 1945. Keddr.com is an tech blog in Russian, done in a very unique way and aiming at Russian-speaking geeks. Jets App is a mobile app helping select a seat in the airplace. Alas, when I looked at their reviews in iTunes, there were quite a few negative comments. ResumUp visualizes CVs and vacancies. It is actually a Russian startup, which won TC Moscow in December 2011. Megogo is Netflix for CIS countries, with local Alexa rating of 268. Yaware is an online time accounting and productivity tool. Local Alexa rating is 42234.